New Hampshire Gazette UMass beat writer josh Walfish introduces himself. I believe UMass starts Fall Camp today. We are a month out from the opening game with Duquesne. 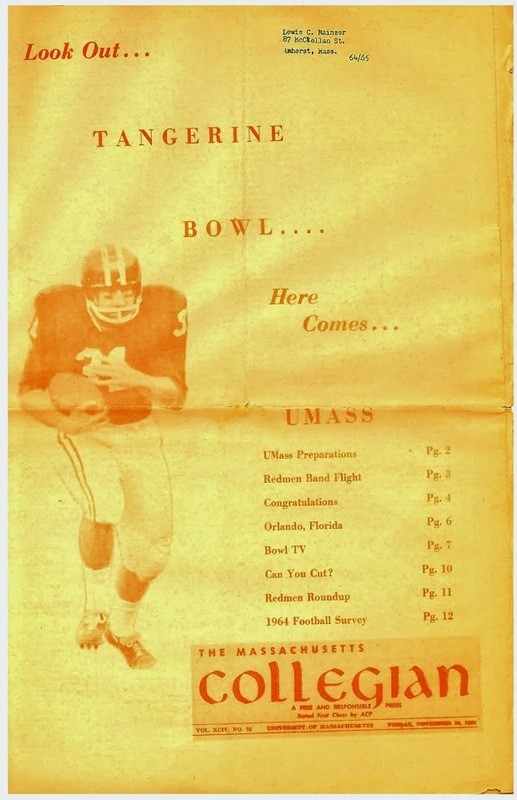 Ryan Gallant reports UMass staff is backfilling historical box scores into the the Minutemen website. The UConn AD call out the Huskie fan base and tells them to "be accountable" and show up for football games. Saw UMA average attendance in the article at 10,000/game. Nice to see Bamford move out underperforming staff vs blaming fans like Benedict. Hope to hear that all our 2018 signees show up tomorrow. "We’re sure all the fans are thrilled at being questioned about coming out to watch a sub-par product on the field and will quickly buy some season tickets as a result of these comments"
Word is that the only recruited running back for UMass in the past two years has just decided to go to community college rather than join pre season camp.I think its time for coach to go out and recruit another QB. No but the gridiron club check has been sent! I hope it is used for the team and not for student tailgate cleanup. Frank> enjoy your last Sunday off, until after our bowl game!